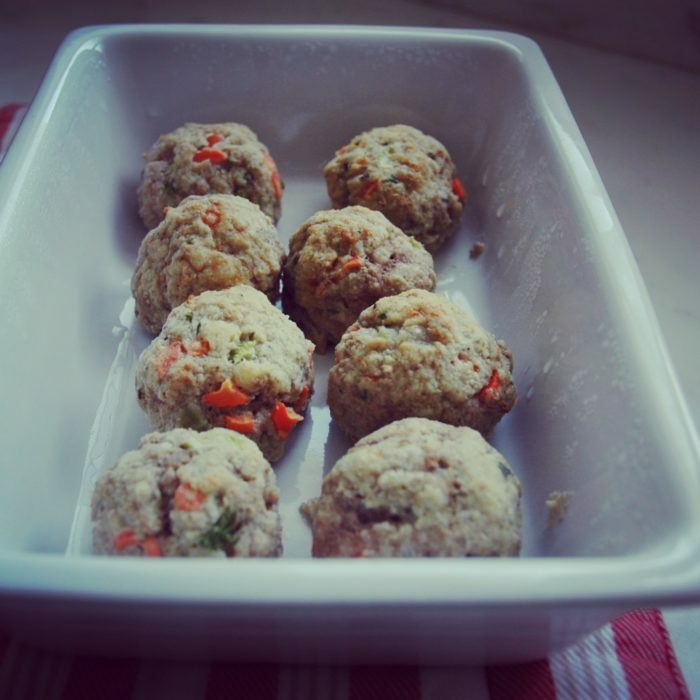 My kids get tired sometimes of traditional meatballs, so I tried a few versions of them and this one came out delicious! I guess if you do not like veal chicken or turkey would work nicely for this recipe! Combine all the ingredients together. Make a dozen 1 1/2 inch meatballs. and roast 15-20 minutes.